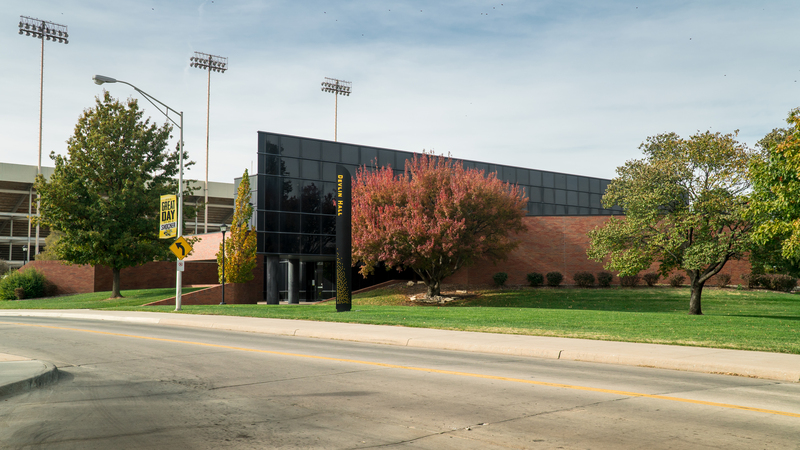 The legal address for the Woodman Alumni Center is 4205 E. 21st Street, Wichita, KS 67260. See driving directions below. There is an entrance to Woodman at the south end of the building (on your right as you face Woodman). That entrance will take you downstairs to the training center. Bring your license tag number with you to the training room. WSU collects a fee for visitors to park on campus. CMD will get your information, register your car on campus and pay the parking fee for you. Wichita State University is a smoke-free campus.